Taking a moment to appreciate the countryside around you is made sweeter with these charming picnic benches. 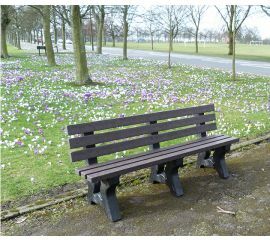 Easy to install and perfect for a variety of locations; whether landscaping, admiring your vegetable plot, surveying the countryside or enjoying a picnic with family and friends, we have a variety of benches to suit you. 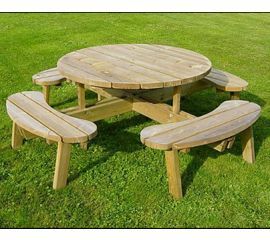 Include in our picnic bench range is a tradition four seater park bench, a Corfe traditional picnic table and a Warwick circular picnic table. 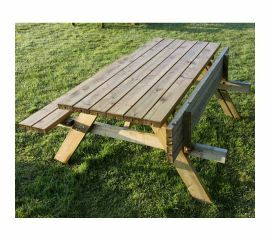 Picnic tables come with collapsible seating to prevent weather damage and to keep the seats dry and muck free. Benches are constructed from treated wood and come with the necessary fittings. Check the individual listings for specific details. Need to have a chat about your preferred picnic placement? Get in touch online or call the team on 03330 050115.